Have your say! Now – the consultation closes on 24 June. As part of the Labour Party’s commitment to ensuring dignity and security in older age, Labour’s policy forum launched a national conversation across the country to discuss how to best protect and improve the State Pension. This process will complement the Pensions Commission which Labour established at the beginning of 2017. Whoever you are, the policy forum wants to hear from you. For instance, from Labour members and people from pensions groups, trade unions, local authorities, WASPI groups and charities. You can play a part in shaping Labour policy by sharing your ideas in a submission. This will be considered by the relevant Policy Commission as part of Labour’s open and democratic policy-making process. And the WASPI campaigners are urging us all to ask all the members of our families to do this too, as this is a crucially important opportunity for us all to have our say about pensions. You don’t have to join Labour just comment as a guest – but you need to do this ASAP as the consultation closes on 24 June 2018. Soon. Find out more about how to make submissions here. Labour’s policy-making process is run through the National Policy Forum (NPF) in partnership with party members, stakeholders and the wider community. The National Policy Forum is made up of over 200 representatives from across the Labour Party, including members from every UK nation and region, local government, the Parliamentary Labour Party, Labour’s National Executive Committee, and Labour’s affiliated trade unions and socialist societies. 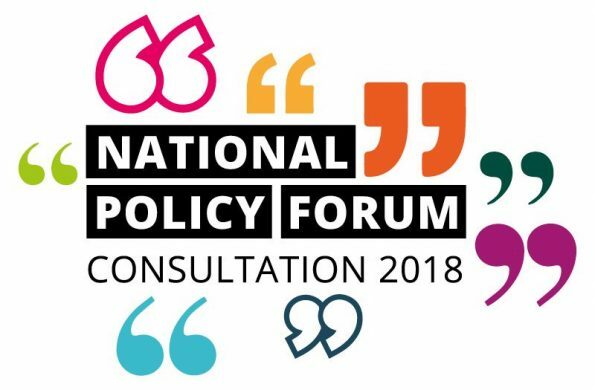 National Policy Forum representatives are placed into one of eight policy commissions that examine specific policy areas; each commission is co-convened by the Shadow Secretary of State and an NEC member. The work of the National Policy Forum from 2015 to 2017 culminated in Labour’s General Election manifesto, For the Many, Not the Few. Labour is now building on its 2017 manifesto and wants to hear the views of as many people as possible. Find out more about these policy commissions and make your submission here. Labour’s police forum also posts the latest news and updates on policy discussions and events happening around the UK here.